The new Thorncliffe Health and Leisure Centre is now open. 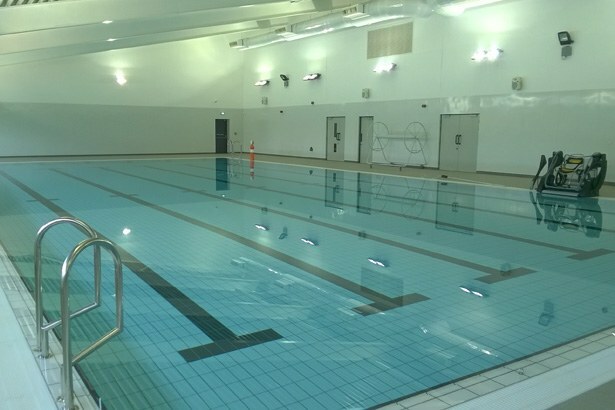 The £7million development in High Green, Sheffield incorporates a six lane, 25-metre swimming pool, a learner pool, a major fitness suite and specialist health and research facilities as part of the National Centre for Sport and Exercise Medicine (NCSEM). This exciting new facility will provide fantastic opportunities for members of the local community to engage in a number of different sporting and fitness activities. The NCSEM is a major new Department of Health Olympic Legacy project designed to deliver education, research and clinical services from three hubs in London, East Midlands and Sheffield. As well as its links with the NCSEM,the centre will also be used by NHS patients. The development is funded by Sheffield City Council, Sport England, NCSEM and Ecclesfield Parish Council. Sport England has invested £1m of National Lottery funding from its Iconic Facilities Fund towards the project. Places for People will operate the centre under a 10 year contract to the City Council. Places for People Leisure operates more than 100 leisure centres across the country and has been UK Leisure Operator of the Year for the past three years. Sheffield City Council will work jointly with them to ensure the venue attracts high levels of usage and operates on an affordable and accessible basis for local people. The main contractor for the project was Kier, the architect was Pozzoni and engineers were Clancy. Sheerwater Consultancy wrote the performance criteria for the swimming pool systems. FT Leisure was responsible for the design, supply and installation of the water treatment and filtration systems for the two pools and the Poolpod disabled access system.